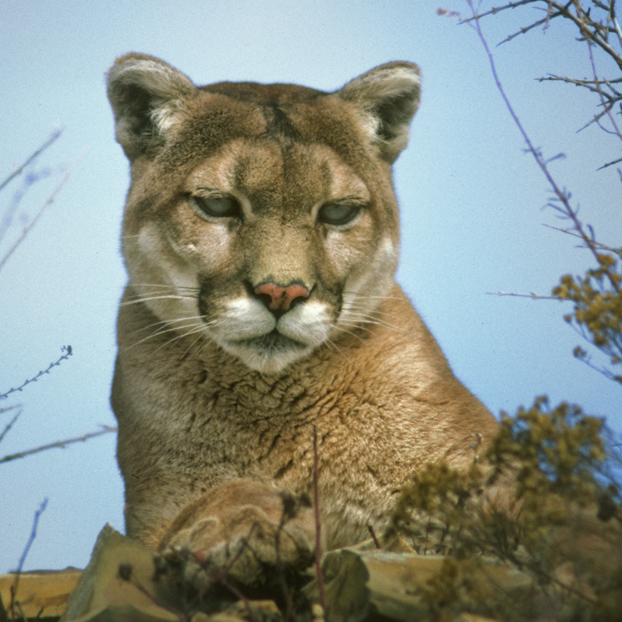 There has never been a confirmed mountain lion attack anywhere on the John Muir Trail, and there has never been an attack on a sleeping camper anywhere in California. As of early last month, only one of those two records still hold. On Saturday, June 30th, a 63-year-old solo hiker was camping near a tributary of the Yuba River, where it runs through Nevada County. (This area is more than 150 miles north of the most northern point in the John Muir Trail.) At about 1:00 a.m., the next morning, he was awakened by a mountain lion as it clawed and bit its way into his sleeping bag. The attack went on for nearly two minutes before, inexplicably, the animal stopped. It retreated about fifteen feet, turned to assess the situation and stare down its prey, and left the area. The hiker was able to self-rescue, and eventually drove himself to the Sierra Nevada Memorial Hospital in Grass Valley. His injuries included some nasty lacerations to the head, arms and back. California Fish and Game Wardens returned to the scene, found the big cat’s tracks and the remains of a domestic cat, but were unable to find the mountain lion, even with specially trained dogs. For more on the cougar, in general, and how its resurgence in the United States is conflicting with suburbia, I strongly recommend David Baron’s “The Beast in the Garden”. It is not at all unusual for a visitor to turn a corner in Yosemite Valley and see something they have never seen before. The exceptional is commonplace there. On Tuesday, July 17th, the shoe was on the other foot: some Yosemite regulars encountered a tourist that no one could remember seeing in the past: a California brown pelican. The female bird was found on Big Oak Flat Road and appeared to be hungry and in poor health. 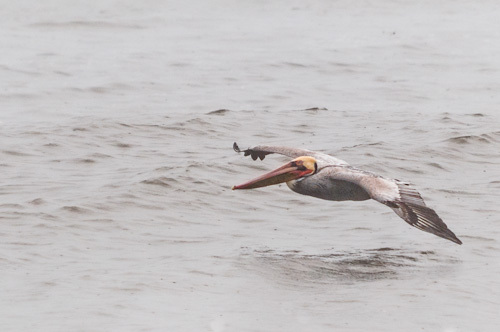 Apparently, pelicans are making quite a comeback in California, and some birds are venturing far outside their normal range. If she was looking for trout in the part of the Merced that flows through the valley, I can understand the problem. The story ends happily, however. The bird was captured, without incident, and transferred to a representative from International Bird Rescue. The organization has been overwhelmed this summer with pelicans! Always a good read. Love your blogs. They are huge birds. Could be!